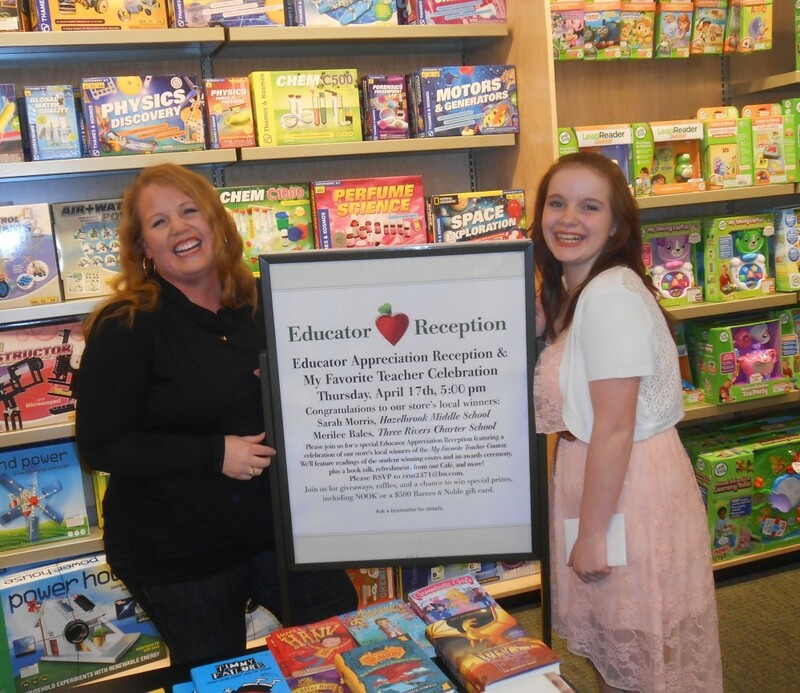 Barnes & Noble's local and national teacher appreciation contest for middle and high school students. ... Here's How It Works: Students write an essay, poem, or thank-you letter (500 words or less, in English on 8.5" x 11" white paper) sharing how a teacher has influenced their life and why they appreciate and admire them.